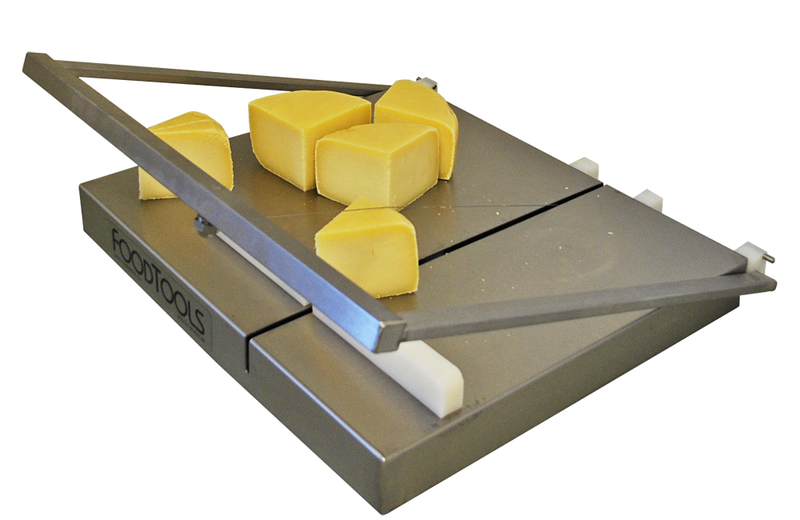 This model is a tabletop single wire cheese slicing machine operated by human power with a lever arm to slice up to 40 lb blocks of cheese or butter into smaller portions. An entire 40 lb block can be cubed on this machine by cutting the block into columns in one direction and then cutting the other direction to cut cubes. This machine is a great addition to any bakery breaking down butter blocks for ingredients or any cheese operation starting with blocks or wheels of cheese and breaking them down into smaller portions. To review more dairy slicing results click here.